In 2013, JIT Enterprises changed its name to Gen-X Machine Technologies. Gen-X Machine remains the same company as it was when we were named JIT Enterprises, including the same ownership and management. Gen-X Machine Technologies is a specialty supplier of domestic forged Companion Flanges, OFU’s, Spacer Plates, Bleed Rings, and other critical parts required by the Natural Gas Measurement and control industries. We are also the leading supplier of Fan and Air handling shafts used by Air Cooled Heat Exchanger and pump manufactures. “We can key way and machine all sizes and shapes of shafting” and especially used in the Electrical Submersible Pump Industry. 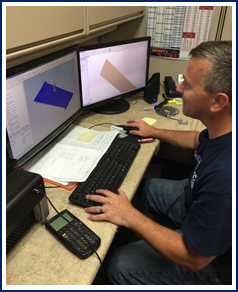 Gen-X Machine Technologies is committed to meeting your highest expectations, whether it is supplying a single emergency item or supplying regular production runs- the entire Gen-X team is dedicated to delivering your orders on time and to your specifications. We are presently pursuing qualifying as 9100 Standard. Our determination to 100% customer satisfaction is summed up by our internal covenant, “We will not ship a part we cannot validate”. Gen-X Machine Technologies has built a reliable reputation ever since it's inception in 2001. We work hard to maintain our reputation for on time deliveries and meeting our customer’s standards on each order. On every project, we consider every detail because we are dedicated to gaining and keeping our customers’ confidence by meeting every specification  on schedule! At Gen-X Machine Technologies, every employee is committed to recognizing your expectations. Once we have made a commitment, we deliver it each and every time with all possible effort. Our quality, service and competitive pricing will be the standard you can expect.